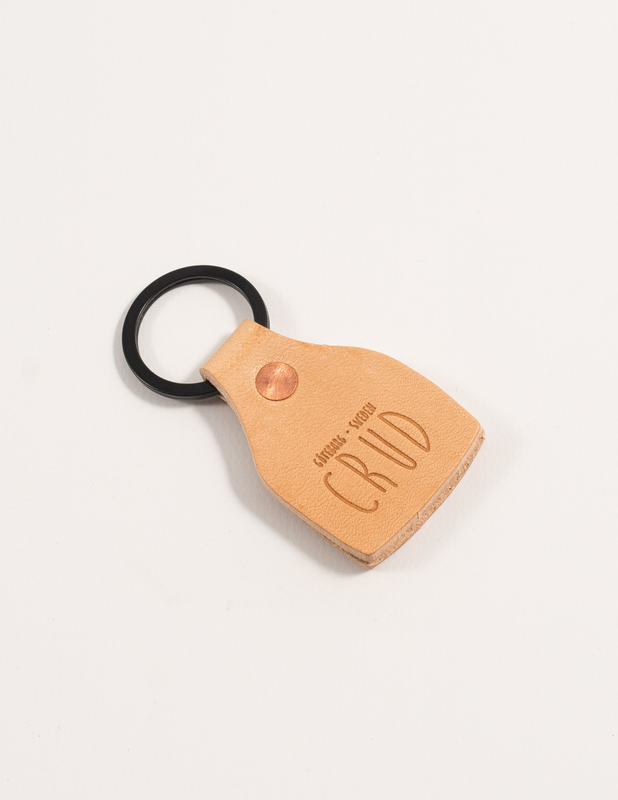 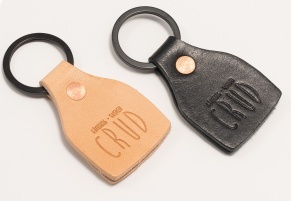 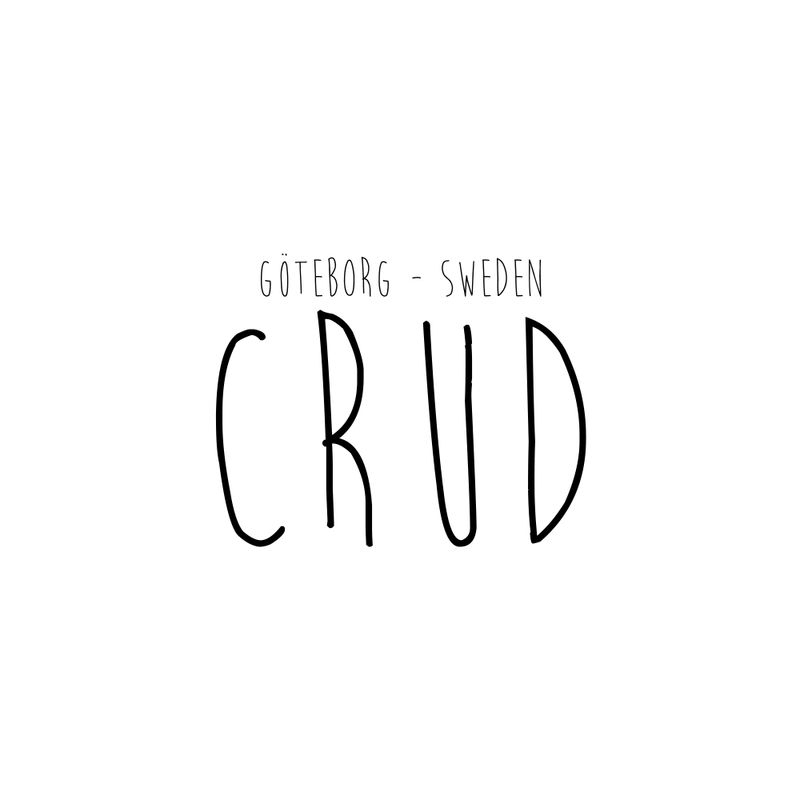 The Crud Key Fob is made from a piece of double folded leather from Tärnsjö Tannery. 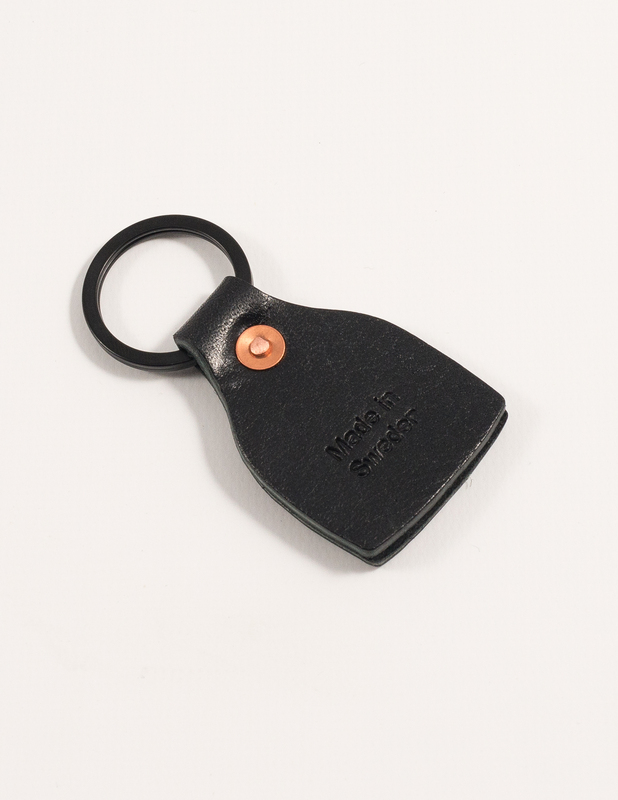 Equipped with a flat anodized matte black split keyring and a solid copper rivet. 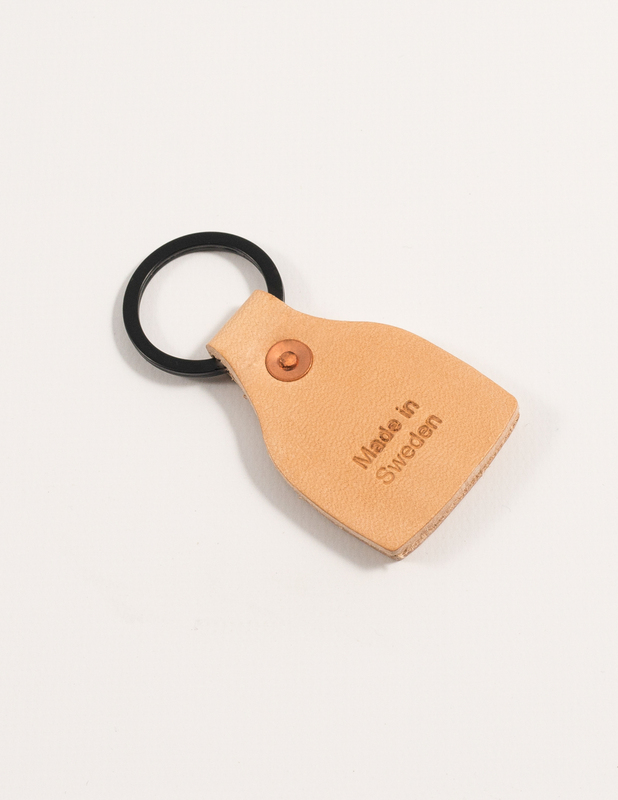 Each Key Fob is finished with our signature makers mark.